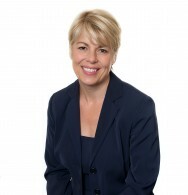 Louise is a Notary Public and a Solicitor specialising in wills and tax planning. Louise qualified as a Notary Public in 1998. She has extensive experience in dealing with the documentation relating to various foreign jurisdictions and has been involved in a wide variety of work including dealing with the papers for an adoption in China and advising on the notary requirements in corporate transactions”.